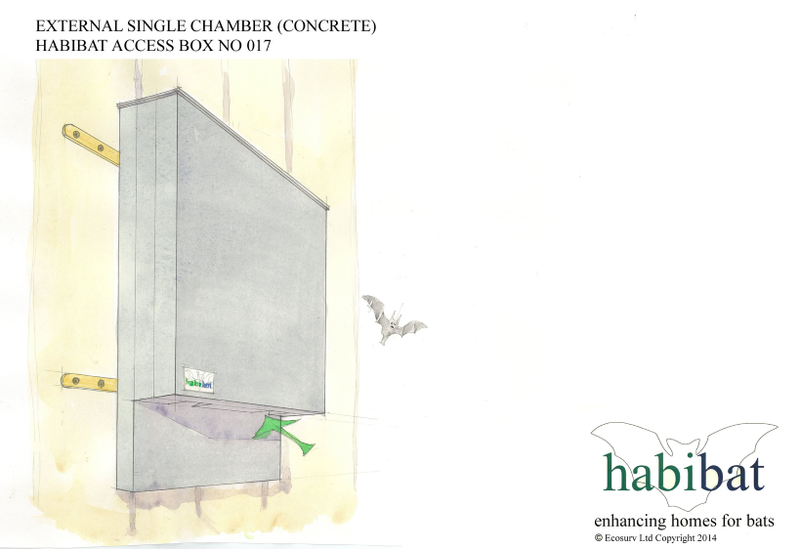 The Habibat 017 Access Box is an external single chambered bat box suitable for mounting on trees or buildings . Made from lightweight insulating concrete it provides internal roost space for most species commonly found in the UK. This single chambered unit features an integrated V system to increase the surface for bats to roost against, whilst allowing them to move around. The Habibat 017 Access Box is available in a choice of 3 colours, black, grey or green.